Handmade in the UK, their large 200mm, smooth gliding wheels make these dollies a great choice for moving pianos and other heavy equipment up to 900kg with ease. Specially designed for moving pianos, but also ideal for other heavy loads where high ground clearance is necessary. Ribbed rubber, non-slip top surface, will not scratch the underside of pianos or other furniture. Easy-glide, 200mm wheels are shock-absorbing, hard-wearing, resilient on all kinds of surfaces, easily cleaned and quiet to use, indoors and out. Rounded corners and bevelled edges, to avoid damage to walls, skirting boards and door-frames. Available with 4 swivel wheels or 2 x swivel & 2 x fixed wheels. Wheels: 4 x 200mm Dia. Sometimes you need a furniture dolly that can perform equally well outside as it does indoors. This great UK manufactured skate is mounted on big 200mm wheels which allow you to move heavy loads over uneven ground. 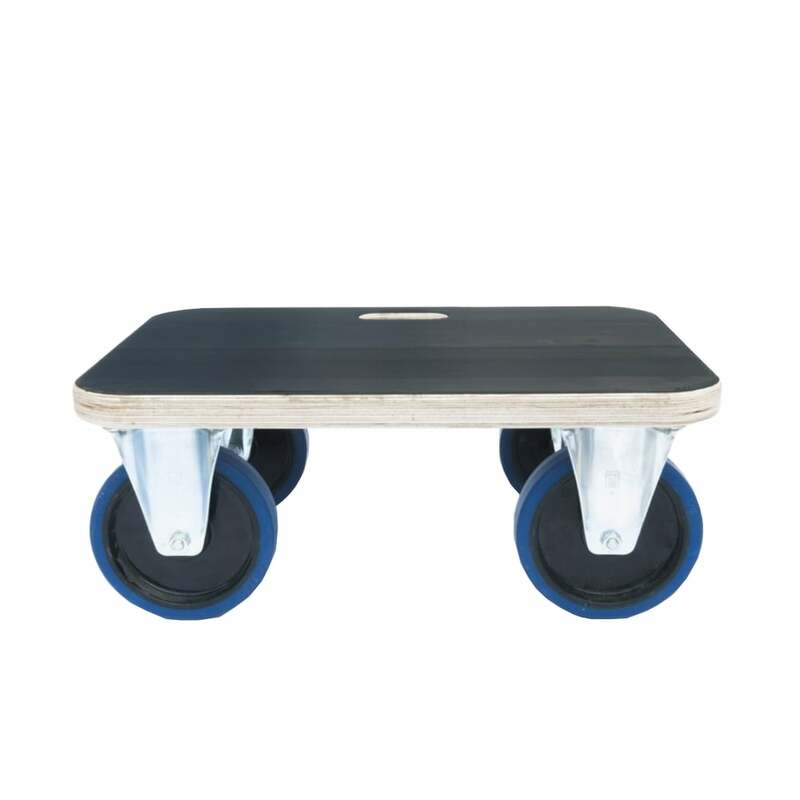 With a massive 900kg capacity, this furniture skate is the perfect piece of equipment for shifting the heaviest loads. Bespoke sizes are also available. Please call 01527 585777 or click on our live chat icon to speak to PARRS Customer Service team who are happy to arrange a quote for you.